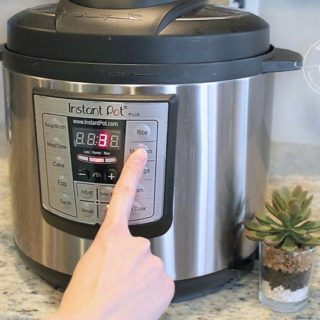 While your Basic Instant Pot Oatmeal is cooking, combine Water, Chopped Apples, Cinnamon, and Allspice in a medium- sized saucepan. Bring to a soft boil over medium heat, cooking for 12-15 minutes, or until apples have softened into a compote, stirring occasionally. Set aside. In a small bowl, mix together the Coffee Creamer and Powdered Sugar. Serve the Cinnamon Compote over hot oatmeal, drizzled with the Vanilla sugar-cream mixture.